Pistachio is my all time favourite nut. Salt it, roast it, plain out the shell, if there are pistachios about I am going to eat them. 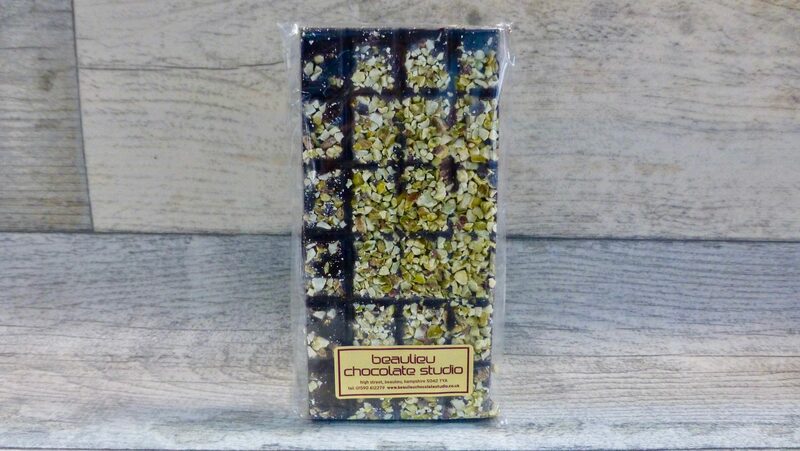 So when I visited Beaulieu Chocolate Studio and spied their Beaulieu Pistachio Chocolate bar it was certain that this was coming home with me. Nestled in the New Forest they create contemporary and local speciality chocolates which are all hand-made using fresh and where possible local ingredients. This is a chocoholics mini paradise. At £3.95 a bar it is on the pricer side for chocolate, but so far I have had a few bars from the Beaulieu Chocolate Studio and have been impressed. 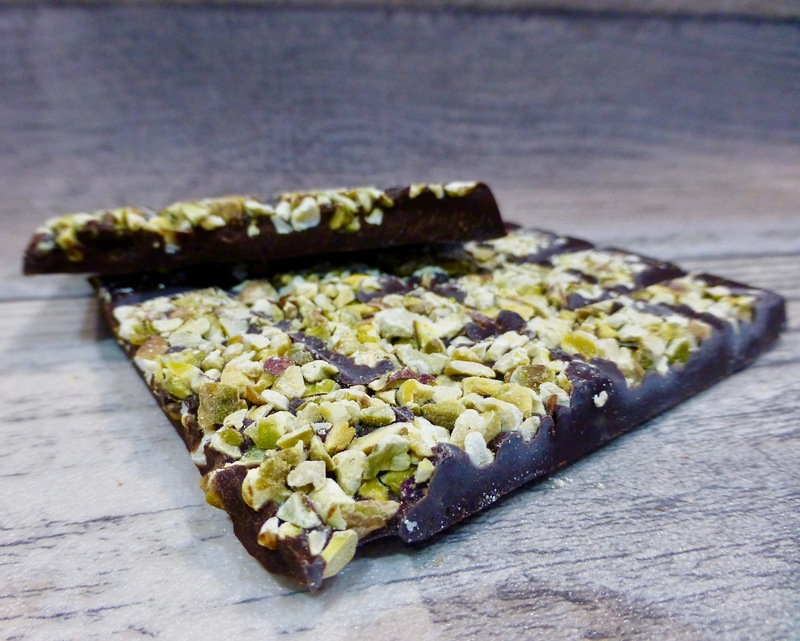 The bar is of a good thickness and topped with one hell of a layer of pistachio. You certainly cannot say they scrimped on this. You really can tell good quality chocolate and this ticks the box. It was creamy, slightly sweet but not overly so and was indulgent. The abundance of pistachios ensured that the nutty flavour came through against the chocolate. It also gave an interesting textural balance. Usually nutty chocolate is predominately chocolate with a few nuts floating through. Not here. Which meant it was nuttier in every munch. The only downside was the pistachios had softened so the nice crunch of a nut was lacking. Overall the Beaulieu Pistachio Chocolate was delicious. It’s nice to see pistachio being used as so often it is forgotten about, plus they are costly. Certainly a bar I would recommend, and if you eat is as fresh as possible I suspect the pistachios will be crunchier.